Here we celebrate author Kiersten White, the New York Times bestselling author of And I Darken, Now I Rise, the Paranormalcy trilogy, the dark thrillers Mind Games and Perfect Lies, The Chaos of Stars, Illusions of Fate, and In the Shadows with Jim Di Bartolo. 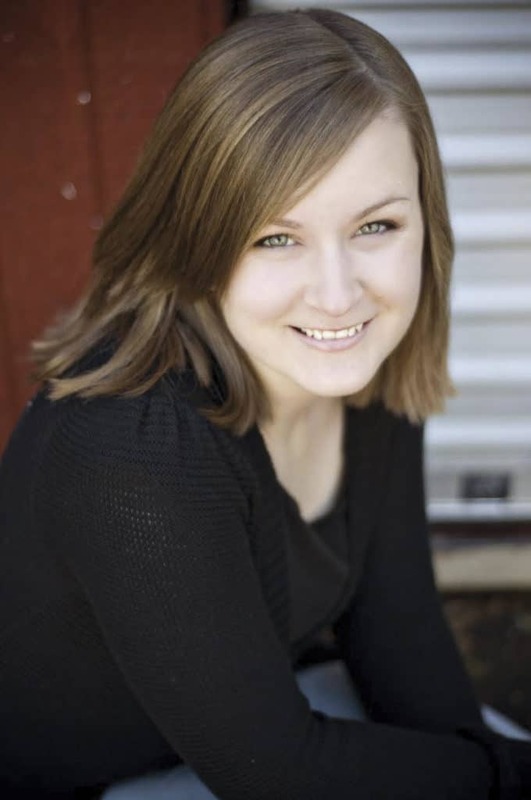 Her books have won several awards, including the Utah Book Award, the Evergreen Young Adult Book Award, and the Whitney Award, and have been named an ALA-YALSA Teen Top Ten Best Book, a Florida Teens Read Selection, and a Texas Lone Star Reading List Selection, among other accolades. She is the author of Now I Rise (Delacorte Press), the highly anticipated sequel to And I Darken—from the series that reads like HBO’s Game of Thrones, if it were set in the Ottoman Empire. 1. 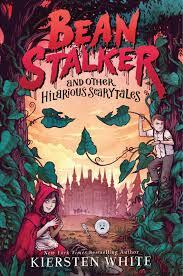 What was the inspiration for writing your new book, Beanstalker and Other Hilarious Scarytales? Actually, it started as a series of jokes! I was wasting time online making jokes about how the Disney Princesses were all secretly serial killers. My editor emailed me and said she felt like there was a book in there somewhere. I’ve always loved fairy tales, and the idea of making them even creepier and sillier was perfect for my first middle grade book. First and foremost, I hope you laugh! I had so much fun writing Beanstalker, and I want it to be just as much fun to read. And after, I want you to look at stories in a new way: yes, there’s the story on the page, but also the one in your head. How would you change it? How could you retell it? Sometimes the easiest way to start writing a story is to begin with a story you already know and make it your own. 3. How did you start writing books for young adults? What is it you like the most about writing for them? I always wanted to write for young readers. I love the fact that you’re just getting started. Everything is new. Most experiences are your firsts. There’s something so thrilling–and also often terrifying!–about doing something for the first time. So writing about children and teens means I get to experience that over and over again. My advice is to spend this time learning to tell stories and love writing. There’s so much time for getting published later. And publishing is a job! Now is the time to have fun experiences, to read, to watch movies, to really sink into stories and what kinds of things you want to create. Once you have that foundation of loving to come up with stories and figuring out how to write them, publishing will come next! 5. What do you enjoy the most about participating at the Miami Book Fair? What are you looking forward to the most this year? I’m so excited to come to the Miami Book Fair. This is my first year ever attending! I always love meeting readers. You are my people, so it’s like hanging out with hundreds of friends I never knew I had. When to catch Kriesten at the 2017 Miami Book Fair? These stories of fiercely savage and powerful ladies explore the darkness within and the good without. These riveting tales will have your heart pounding in Kiersten White’s Now I Rise, S.J. Kincaid’s The Empress and Emmy Laybourne’s Berserker. This entry was posted in Parenting Teens, Raising Tweens and tagged Miami Book Fair. Bookmark the permalink.